Books for Sale: Click on the images to read more. 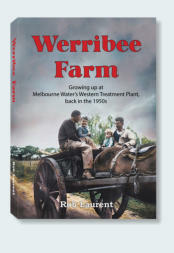 (An Illustrated History of Toowoomba Foundry’s Steam, Internal-Combustion and Windmill Engines) For 74 years Australia's Toowoomba Foundry produced a wide range of engines, windmills, pumps, generators, lawnmowers, milking machines, etc. ...even aircraft. This is the story of the enduring Southern Cross machines and the people who made them. The Toomaroo Museum adventure stories - introducing young people to old machinery. Written for middle and secondary school-aged readers, each book contains an illustrated supplement which covers the machines and manufacturers mentioned in the story. © Rob Laurent 2018 Content may change without notice and the web master incurs no liability for the information or links in this web. Australian Customers Credit Card payments or PayPal transfers are processed using PayPal. Book prices include postage within Australia Prefer direct bank deposit or cheque? Contact us for details. We also accept cheques and direct deposit. Please contact us for details.